A convicted drunk driver who spent time in prison and lost his license to practice law is now dedicating his life to helping to reform the complex system that ex-cons face when reentering society. John Koufos, 42, was a criminal lawyer who became a criminal. He’s now the national director of re-entry initiatives at Right on Crime, a project of the Austin-based Texas Public Policy Foundation. Koufos, whose father was a fugitive, began drinking at age 15 and became an alcoholic. Despite his alcoholism, Koufos managed to become a prominent trial lawyer. He was previously certified by the Supreme Court of New Jersey as a criminal trial attorney, trying complex jury trials and receiving several professional achievement awards and accolades along the way. In June 2011, he hit a young man while driving drunk, and fled the scene. The victim suffered a concussion and a broken femur and ribs, but eventually recovered. Koufos said that whenever the young man is ready—and that time hasn’t yet come—he will meet with him and apologize for his transgressions face-to-face. Koufos said he counts his blessings every day that he didn’t kill anyone. During his processing through the criminal justice system, Koufos was released on $150,000 bail. On March 15, 2012, he was sentenced to six years in prison. When Koufos was released from prison in southern New Jersey, he said he was directed to report that same day to his parole officer in northern New Jersey, but not given any transportation to get there. As failure to report would jeopardize his parole, Koufos asked a friend to pick him up and drive him straight there, arriving just before the office closed. A prisoner without Koufos’s resources might have failed to make the appointment. As he navigated what he called “a patchwork quilt” of what he considered to be rigid, needlessly punitive, and seemingly contradictory rules upon regaining his freedom, Koufos decided to dedicate his life to helping formerly incarcerated individuals cope with living outside prison walls. One of the particularly vexing situations, as he tells it, involved a halfway house resident who was working two jobs to help his family. In a perplexing catch-22, the authorities eventually sent the man back to prison for not spending enough time at the halfway house. In 2014, Koufos helped to create the New Jersey Reentry Corp., which describes itself as “a non-profit agency with a social mission to remove all barriers to employment for citizens returning from jail or prison.” As NJRC’s executive director, Koufos worked with then-Gov. Chris Christie and five former governors to reform reentry services. Koufos is credited with expanding the nonprofit organization from a single location, to about 60 employees spread out over nine sites. He designed NJRC’s legal program that uses staff attorneys and about 70 outside, pro bono attorneys to help individuals reentering society deal with the problems that typically plague new parolees. The recently deinstitutionalized aren’t properly prepared for freedom, Koufos said. Such people face a minefield of legal and other issues that accumulate while they are on the inside. For instance, when prisoners are incarcerated, they generally aren’t informed of various minor legal citations, tickets, demands to appear in court, and fines that come up, he said. These matters accumulate and prisoners behind bars are unaware they need to respond to the legal documents, which turn into bench warrants. 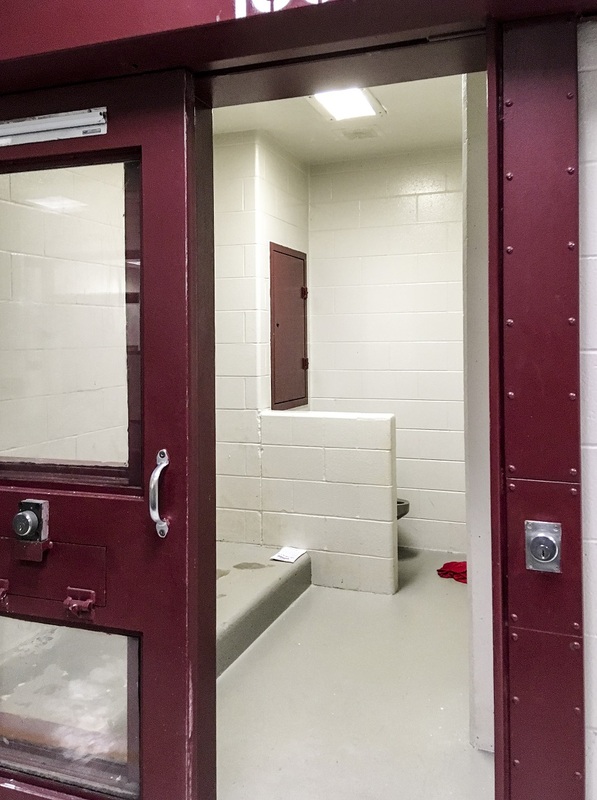 Parolees often find themselves in legal hot water soon after release, and in addition to being counterproductive, this makes it much more difficult for parolees to reacclimate themselves to the outside world, Koufos said. All these rules that make it difficult for ex-prisoners to get on with their lives come out of the official penological culture, Koufos suggested. That culture is fragmented among different stake holders. “I think part of it is mission identification, in the sense that prosecutors view their job in one way, the Department of Corrections will view their job as safety and security, and legislators often pick these principles of general deterrence,” he said. “What happens is you have these other governmental systems that are necessary for this population, which is traditionally poor,” and they often work at cross-purposes, he said. Workforce development programs, for example, aren’t geared toward released prisoners. “You almost have everyone speaking almost the same language but a different dialect. so you almost understand what they’re saying but not enough to do it right. We’re seeing those things change I think slowly, slowly as departments of corrections are embracing that reentry is their mission,” he said. 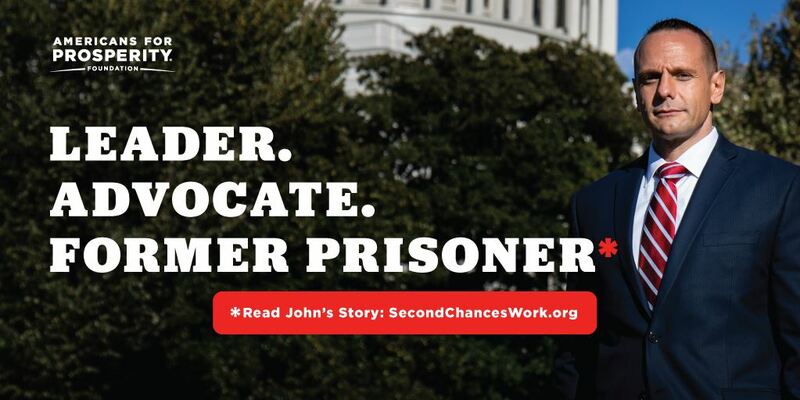 “I was locked up with a lot of people who deserved a second chance just like I did, and I was locked up with a good amount of people who wouldn’t have taken a second chance if it were given to them. It’s important to help parolees clear the hurdles they face upon release so they can obtain driver’s licenses, which is a requirement in many cases for former prisoners to obtain jobs, he added. Koufos compared the thrill parolees get when they get their driver’s license to how he felt when he got his law degree. They know that license can lead to a job. It might lead to a commercial driver’s license and membership in a union. And with a job, they can afford child support and can reconnect with their children. Koufos praised the Supreme Court’s February ruling in Timbs v. Indiana, a case that benefited offenders subject to asset forfeiture; critics said the practice was long abused by prosecutors, resulting in what amounts to disproportionately harsh punishment. In that ruling, the court unanimously held that a constitutional ban on excessive fines that Indiana had argued applies only to the federal government applies to all U.S. states. “Today’s ruling should go a long way to curtailing what is often called ‘policing for profit’—where police and prosecutors employ forfeiture to take someone’s property then sell it, and keep the profits to fund their departments,” Wesley Hottot, a senior attorney with the Institute for Justice who argued the case, said at the time. The decision overturned a ruling by the Indiana Supreme Court that the state was entitled to keep a 2012 Land Rover LR2, valued at $42,000, that was confiscated from Tyson Timbs. Timbs used the vehicle when selling a total of $385 worth of heroin to undercover police, a crime for which he was convicted. He entered a guilty plea and was sentenced to a year of house arrest and five years of probation, but no prison time. 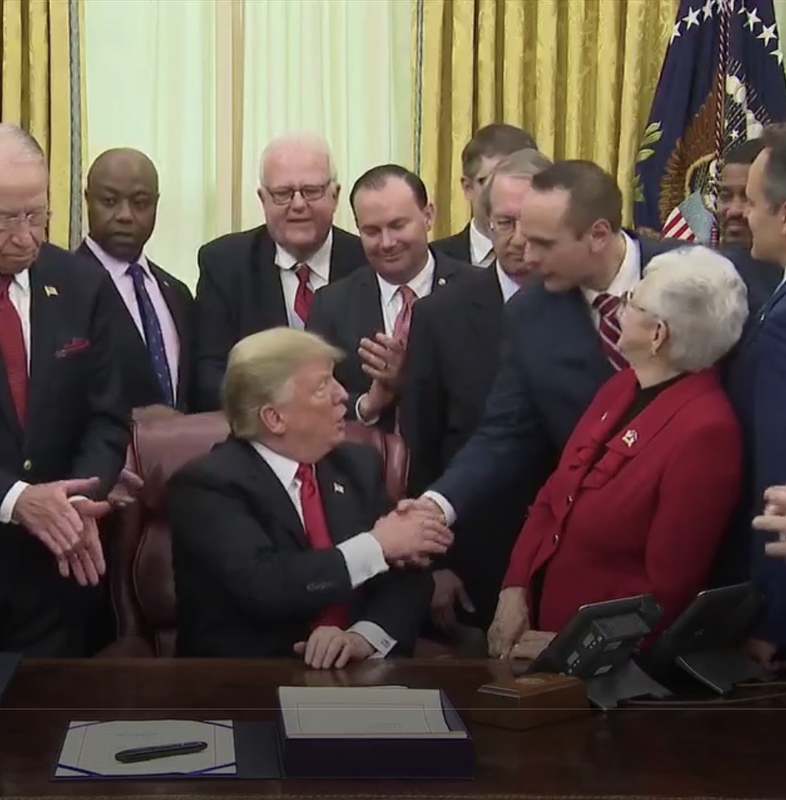 The First Step Act, the bipartisan measure approved by Congress and signed by President Donald Trump late last year, reformed the criminal justice system to an extent and made it easier for the courts to reduce penalties for nonviolent drug offenders. Right on Crime spearheaded the measure, which is now being copied at the state level all over the nation. Around the country right now, activists on both the right and left are working on fines and fees in various states, he said. Michigan dismissed hundreds of thousands of dollars in fines, while the Supreme Court of New Jersey recently dismissed 789,000 old tickets that had led to old warrants. “These are big, big things that really offer no return on investment and taxes, so we have to get those things out of the way. If we have people tripped up with the low-hanging fruit, how are we ever going to optimize the more sophisticated systems?” Koufos said. Although bail reform isn’t a reentry issue, it is an important issue just the same, he said. 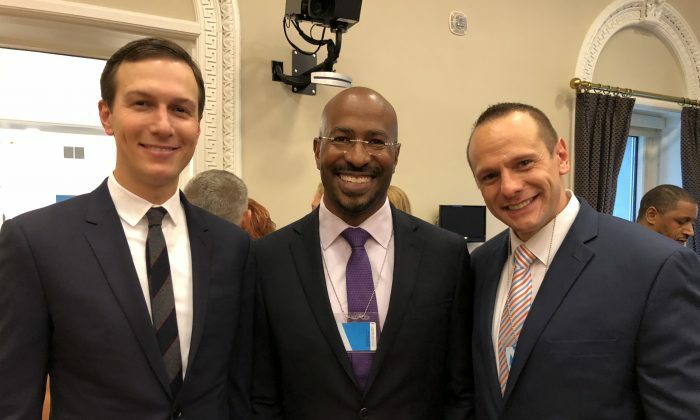 Some conservatives have been critical of both the First Step Act and of Right on Crime’s willingness to work with activists such as Van Jones, a self-described “communist” who worked as President Barack Obama’s “green jobs czar,” and who now works at CNN. 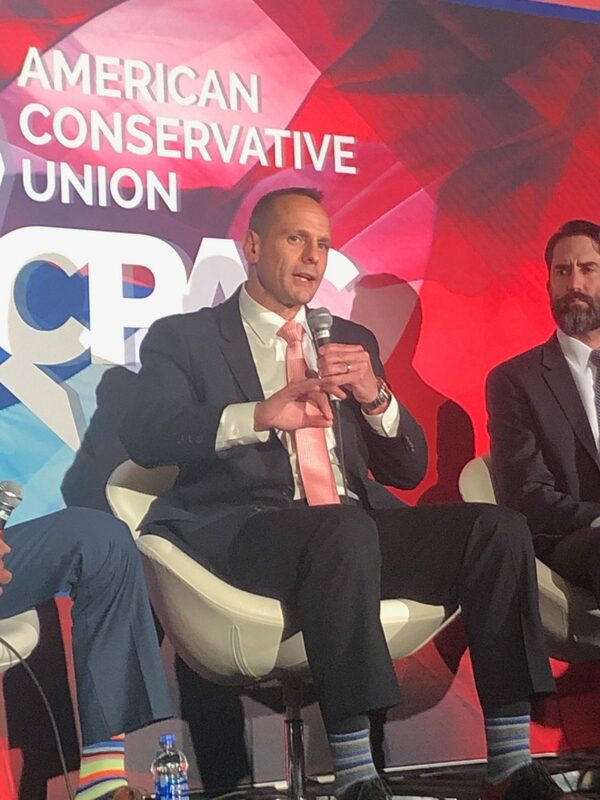 “Doing what’s right is more important than left versus right,” Koufos said. Trump doesn’t get the credit he deserves for moving forward with criminal justice reform, Koufos said. “I think that, candidly, that [Jones] is a victim of some of the rhetoric surrounding the fact that there appears to me to be a large reluctance to give the president what could be perceived as a win on this issue. That bothers any of us who’ve been to prison, that bothers those of us who have devoted our life to this work … as Right on Crime has devoted their life to this work,” he said.